Planning the Road Trip Vacation of a Lifetime! There's nothing like taking a road trip across the USA. Going by car gives you a greater appreciation for the vastness and wide array of parks, forests, cities, museums, beaches and cultures the United States has to offer. By taking a cross country roadtrip, you'll witness first hand the enormous differences in coasts, scenery, wildlife, architecture, and people. It's a life-changing trip you'll never forget and well worth any planning! How much time will you need on your road trip? Road trips across the country cannot be done quick if you're going to enjoy them. Set aside 3 weeks for your roadtrip minimum. There's no feasible way to see the entire continental U.S. in less time. If you have the cash to spend, you can travel the country in a number of different ways. What you need to decide first is if you prefer man-made convenience, nature, or the RV experience. Some people prefer to camp, while others might RV or just stay in hotels along the way. In this lens, we'll cover the option of road trip by passenger car. You're first step in planning a trip would be to list out the places you'd like to see on your trip. Keep Alaska out of the equation unless you're taking a multi-month trip...it's far, and there's so much to see in Alaska, you may want to make that a whole separate trip and fly in. It may be part of the US, but it's over 1400 miles from the nearest city, Seattle! Another option is to plan small roadtrips by flying to your location and renting a car. Try staging a mini roadtrip in California, Florida or New England. Everything is in relatively close proximity, and you'll still have the advantages of seeing everything by car, as well as the convenience of flying by air for part of your road trip. Whether you like it or not, a road trip requires extensive research, and that means reading! If you already have a good overview of the country, start planning by digging deeper into each individual area and finding out what you'd like to see. What museums, beaches, bridges, cities, restaurants, monuments, National Parks, or historical sites are in the area? Here's a handful of well-received guides for U.S. travel that should provide an excellent synopsis of what the United States has to offer. How Do you Start Planning your Road Trip? Plan your road trip the right way! A good idea to start your planning is to read some literature on the country, whether online, from your local library, or by ordering some books. If you already have a good idea of where you'd like to visit, list out the places you'd like to see, then you can work on mapping out how to get there and how many days you can budget into each place. Navigating the United States and seeing everything there is to see in a reasonable amount of time is something that's tough to gauge, even if you've done it before. This guide makes it a little bit easier by pointing out the key attractions of each state, from National Parks to amusement parks, fine dining to roadside diners. I use it for all of my road trips, it's very handy! This book has a few things going for it. First off, the size is perfect for travel. Second, it has a durable cover that won't get messed up and ripped during your trip. Third, it will give you a great idea of what you might want to see when you're planning your trip. And lastly, it gives excellent recommendations on where to stay, what to see, and what to do. Great photography in here too. Online Reviews - Take it from Someone Who's Already Been There! You can learn a lot from a hotel, restaurant or local business by reading online reviews. Try reading up before you leave, or if you've brought your laptop on your roadtrip, try logging on before you leave for your next destination if you've chosen the "free spirit" non-reservations approach. Zagat is a great place to reference to find some decent dining in any area you might be on your road trip. Simply search by city or restaurant name. This is another resource that is great for the road traveler, with honest online reviews and ratings. Looking for a good local barber? How about a trustworthy repair shop? A memorable dining experience? A hotel with the perfect view? Citysearch has many, many online reviews written by actual people. A huge asset for your vacations! For a roadtrip, you'll need a couple of weeks worth of clothing, and all of the essentials you would go through, like toothpaste, shaving cream, soap, deoderant, non-perishable snacks, in the amount of time you will be away. You can stock up on dry powder detergent and stow it away, or purchase some from a local store and wash your clothes in one of the hotel's laundry rooms. Most hotels have laundry facilities right in the hotel complex. A valuable tip: if you're staying at a nicer place on some nights, do your laundry there. It's likely to be more clean, updated, and sometimes even free! Don't forget the first aid kit. Chances are you won't need it, but what if you do? These are very affordable, and you'll be able to bring on every trip in the future. The ready-made kits usually have everything you would need if an emergency should arise. ...they're a necessity for roadtrips. Cellphones are a way of life nowadays, and sometimes there are circumstances where a cellphone is very handy. From making restaurant reservations, calling the hotel you were supposed to be checking into 4 hours ago, or calling AAA because you popped a tire on the busiest interstate in downtown L.A., you'll be glad you have one. Make sure the coverage is nationwide before you leave on your trip! If you're headed off to an area with no cellphone reception, be sure to contact someone else before you hit that space. 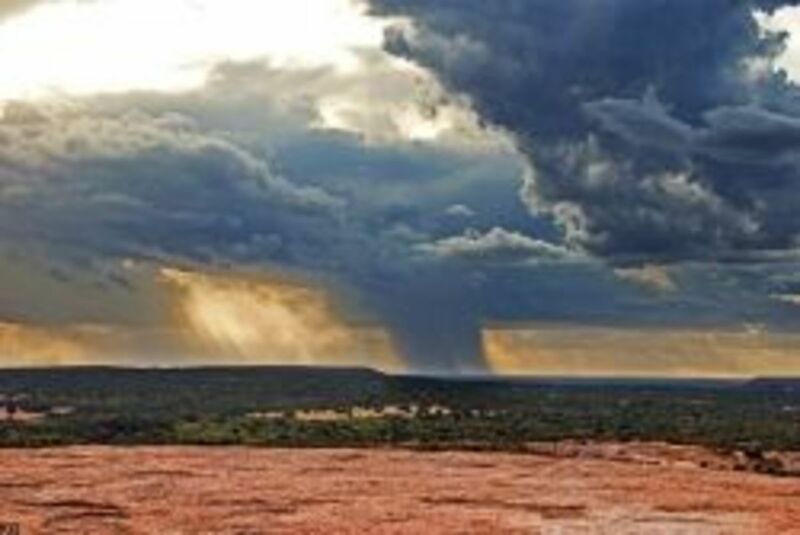 Areas like National Parks, wide open deserts, high mountaintops, sparsely populated towns and deep forests will often not have much reception, if any. A quick call, text or voicemail will let anyone know what road you're on in case you break down and have no one to call! Instead of a Laptop... - Easy road trip internet access! A laptop can be a big deterrent when you're on the road, but the good news is you might be able to get away with using a DROID on your trip instead. Emails come through automatically once set up, and you can go online for a reasonable rate if you choose an unlimited internet plan. They're cheaper than you might think. Learning how to pack your car quickly and easily is essential for a fun roadtrip. It's not fun, but if you can figure out a method and order from the beginning, you'll save a lot of time and frustration. The best method is to use luggage cases for all or most of your clothing. If there are two luggage cases, you should be able to fit them into the trunk of most cars. Be sure to do a test long before you leave! After the luggage cases are placed in the back, The backseat can be used for a cooler, tote bags, your laptop, and any items you may need to grab quickly on the road. Roadtrips can have a slightly different packing method than air travel. Since you'll have to be in and out of your luggage so frequently, you'll want to make your luggage easily accessible. Place frequently used items within easy reach, and seldom used items at the bottom. Be sure to utilize side pockets and outside pockets to separate your garments. For toiletries, it's a good idea to store them in a toiletry case. This will prevent leakage onto your clothing and keep them organized. You should have a little extra room on the sides of your luggage in your trunk. This is a good spot for placing squishable, non fragile items or extra clothing. Don't forget to bring your first aid kit! If your trunk has a lift-up flap, you can place the first aid kit in the spare tire well. Some jumper cables might not be a bad idea either. If you are traveling with more than two people, you may want to consider either traveling very light so you can fit everything in the trunk, or using an SUV or van for your trip. You may be able to rent a hybrid SUV to save a little money on gas, though these sometimes book out far in advance at rental dealerships. Rolling your clothes can save space inside your luggage. It can also save you time ironing since it makes less clothing wrinkles. Fold your clothing in thirds, roll it up, then stack your biggest items at the bottom and work your way up. What's the furthest you've driven for a roadtrip? A state or two away is my MAX. I've gone a 3-5 states away. I'm a roadtrip pro, I've gone six states away! I've gone ALL THE WAY across the country! They add up quick. Any empty space in your vehicle will be like striking gold. Limit yourself when packing to a certain amount of clothing, duffle bags, tote bags, or suitcases and perform a "test-pack" before you leave. If everything fits without squishing all of your luggage, great! Now, take some of that out, and leave room for at least a duffle bag or so. You're bound to come home with some unexpected item(s). The only souvenirs you should need are some photos, maybe a few t-shirts. Send postcards instead! They're old school, but such a unique and timeless way to update family and friends that it's worth taking the time to buy and send. Don't worry about getting other people gifts either. Unless you're going to ship them back, which is costly, takes time away from vacation, and you may have to pack it yourself (breakages? ), skip the souvenirs all together. Postcards are much easier. Or better yet, why not text people with a photo from where you've been? If you're dead-set on bringing something home, consider shipping it to lighten your car and reduce the number of trips to the car every time you unload/pack. Bring your Laptop...Yes or No? A road trip necessity or just a bunch of dead weight? You might just find yourself going through email, Facebook, Twitter, and Angry Birds withdrawal, so bring a smartphone is a great idea. Not only that, but you can keep people posted on your trip where you are, what you've seen, and where you'll go next. With 4G, you can connect to the internet virtually anywhere there's reception. If you bring your work laptop, Macbook, or iPad, you may also run into car theft...conceal your laptop at all times when traveling. Don't give thieves a reason to break in! Keep it under your seat or in the trunk of your car...that goes for anything of value. 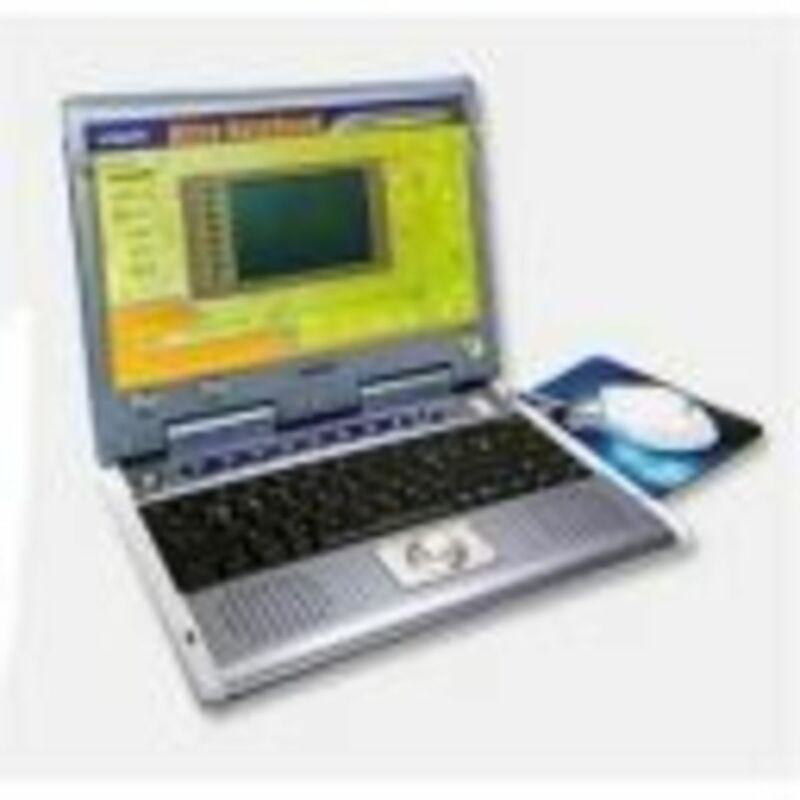 If you're in a warm area, take the laptop inside with you wherever you go or the weather will do serious damage to your computer. A sturdy laptop case is a must. Even better, travel with a smaller device like an iPhone that you can conceal on you at all times. Some hotels charge big bucks for internet access. Check it out before you agree to pay. Some hotels don't charge a dime, others may charge upwards of $10 per hour! If you're on a budget, find the local library and connect there. Most libraries now have free wifi access. What's your favorite continental state in the U.S. to travel to? The biggest cities in the USA are found one after another, for the most part. You'll find all of the big cities of the east coast right along I-95, while on the west coast, you'll find the biggies along I-5. I-10 holds the southern cities, and I-90 most of the northern midwest cities. For easy road trip planning, here are the top ten biggest cities and their respective populations. Is it a myth or not? Some people say that the room key cards have your personal information stored onto the card electronically. Others have seemingly debunked the myth. What's the truth behind it? Read here. Gas prices are volatile, and you might be second guessing your roadtrip for a number of reasons. To reduce the cost of your fuel, or at least get some cash back, consider signing up for a gas-rebate credit card. There are a number of cards to choose from. When traveling across the country, you may encounter some not-so-friendly gas station attendants. If you get any sort of doubt in your head, pay with cash. It's not worth the headaches! This can happen anywhere, so use your best judgment. This isn't worth it either. Hopping from station to station in hopes for saving a few pennies per gallon just eats up your gas, and more importantly, your vacation time. How much gas can you save and how much? Here are some proven tips that will get your more bang for your buck. This is a huge asset that can save you huge bucks on your trip. Plan a day ahead if you need to, and research the lowest price gas stations in the area. This can really help you save money on your road trip! Gas mileage tips straight from the government! ..oil changes? Giving your car an oil change every 3000 miles on the road is a must. Road trips can put a huge strain on cars with long hours, so don't forget! Also, tire rotation is recommended around every 7500 miles. Get this done before you leave and once more on the trip if necessary. Save some gas (and be a little greener) while on the road! 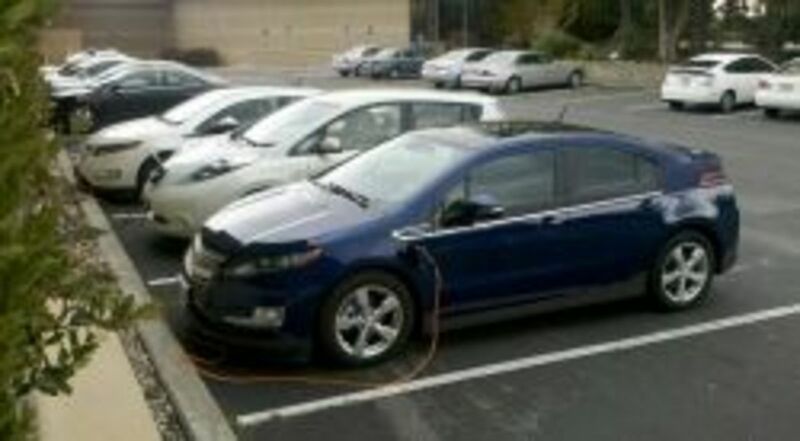 If you're planning on buying a new car for your roadtrip, which is an excellent idea, a hybrid might be a wise choice. Not only do they save enormous amounts of gas and money, but they also are very comfortable and have plenty of legroom. IMPORTANT NOTE: Road trips can put a huge strain on your car. Make sure you do the proper maintenance and planning ahead of time. This is why a car rental might be a good choice for your trip! Why not get a hybrid? It will save you plenty of money, and you'll be doing a good deed for the environment. Most Popular Hybrid Cars - Save gas on your road trip! Here are some of the most popular hybrid cars for 2008. Once again, Toyota's Prius comes out on top for the biggest savings and value. A great choice for your road trip. Statistics shown feature mileage versus the non-hybrid version. Results from CNN Money. You should change your air filter approximately every 12,000 miles. Your car will run more efficiently and use less gas. They cost under ten bucks and can save you much more than that in gas prices...especially with the prices the way they are at the pumps! An easy way to rack up free hotel stays for your next road trip! 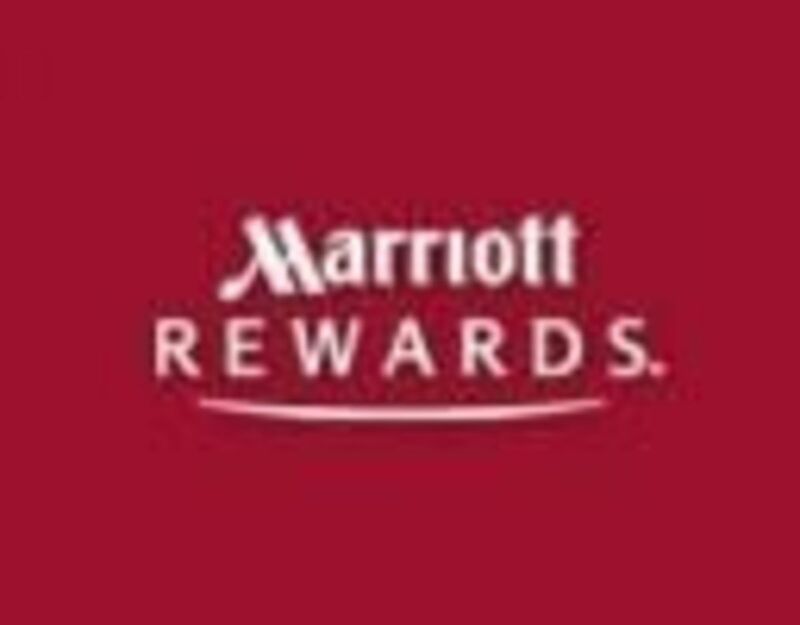 You'll definitely want to sign up for a rewards program with your favorite hotel prior to the start of the trip. You'll quickly rack up points towards another hotel stay, which you may be able to use on the same trip! If not, you'll be well on your way to another vacation. There are a number of hotel credit cards that offer points programs as well. Navigation Systems (GPS) - Avoid the confusion of getting lost while on the road! GPS can be a huge aid and stress prevention tool for your cross-country road trips. Some people even say that you shouldn't try it without it! Here are some of the best rated products from Garmin. Garmin has the highest rated GPS systems on Amazon, and that's why we haven't bothered showing you any others...the ratings blow away anything else. Read more about some of the best GPS navigation systems available today here. It's not just for grocery stores! Many hotels have express check out, where you can fill out a form ahead of time and merely drop your room key in a locked box! This can spare you from long lines, aggravation, and get you back on your trip! Should you book the rental car ahead? Yes, definitely. Hotel stays? That's debatable. You may find yourself not liking the place that you booked yourself for a 4 day stay and jumping for an early getaway to your next stop. If this is the case, talk to the front desk of your hotel immediately and see if they will charge your card for the days regardless if you are there or not. Know the peak seasons of the cities or parks you are visiting. If peak season is in July and you are arriving on the 4th of July weekend, you will definitely need to book LONG in advance. On the other hand, places like Key West and the desert region of California experience there "slow" seasons in the months of summer due to the heat. School gets out in mid-June in most areas. Also, certain weeks in April, February, and December are popular vacation weeks for families. Several weeks in March are considered spring break week. The weekends are always more expensive. When booking your hotel, you may save money on booking ahead for the weeekends of your trip--but on the other hand, there are unadvertised discounts for hotels when the building has not booked to its capacity. You might also have a tough time finding accommodations if you have not booked anything. Cities are much more expensive than small towns. If you are not staying in the city to experience the city, consider staying outside of the city. It will cost much less money. Try staying on the outbound side of the city so you'll miss the traffic when you leave in the morning. For example, if you are traveling through Houston coming from Louisiana, go slightly past the city to stay on the outbound side for a smooth commute the next day. Check out the parking lot first. Check out the parking lot and see if you feel comfortable leaving your car there overnight! If not, skip it and head to the next one if you haven't booked it. Learn the fine art of "creative photography that hotels practice." Many hotel sites will take some very creative shots of their grounds to persuade you to stay with them. What may look amazing in the pictures may be a huge bomb when you arrive. Look for hotels that have virtual tours online, many, many pictures, and online reviews. Online reviews can be your best friend when vacationing, don't underestimate them! Make sure you'll be there by the check-in time. Some hotels do not have staff present all night. If you're arriving late, let them know so they can plan ahead for you. This works the same for late checkout. If you want to leave late for any reason, check with the front desk the day before or morning of and see if they'll allow you to stay an extra hour or two. They will often let you stay a little later without charging you. I always check sites like Priceline.com if I'm booking in advance. The best deals can often be found closer to your date of arrival as opposed to far in advance. Give them a try to see what you find! Think about what you enjoy the most about your vacations. Is it rest and relaxation? The hustle and bustle of the big cities? Impressive mountaintop vistas? Lots of sun and water sports? Quiet, serene National Parks? Take this into consideration when planning and book your stops in places you know you'll enjoy. 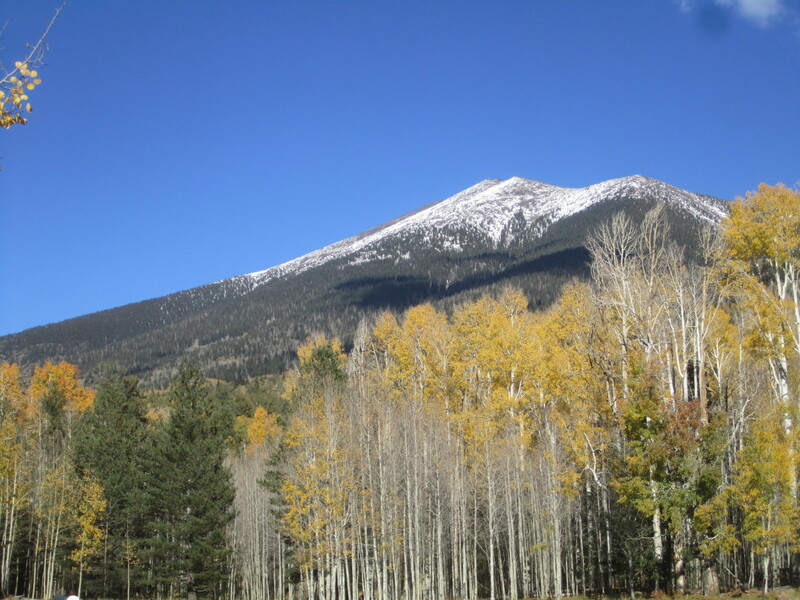 If you're not a mountain person, plan on making Colorado a drive-all-day part of your trip. If you love warm weather and the ocean, extend your days in Florida to more than just a few. ..it's just not the same. Looking down on the Grand Canyon from the window of your airplane or getting a connecting flight in Chicago doesn't mean you've been there. Physically seeing these destinations cannot be replaced by any book, video, podcast or website! Get out of the car, take a look around, and take it all in. You'll be glad you did. Don't get bored, get creative! Road trip games without the batteries. What is your favorite National Park in the 48 Continental US States? Road Atlases to Take on your Road Trip - Which atlases are the most convenient and durable? If you don't have GPS or don't want to, you can use the fail-safe, trusty road atlas. Here are some of the best-rated atlases on Amazon, all over 4 stars. We personally recommend the spiral bound copies for maximum durability (the first 2 atlases are spiral bound), however, National Geographic offers some interesting, different content in their atlas to make up for the lack of spiral binding. 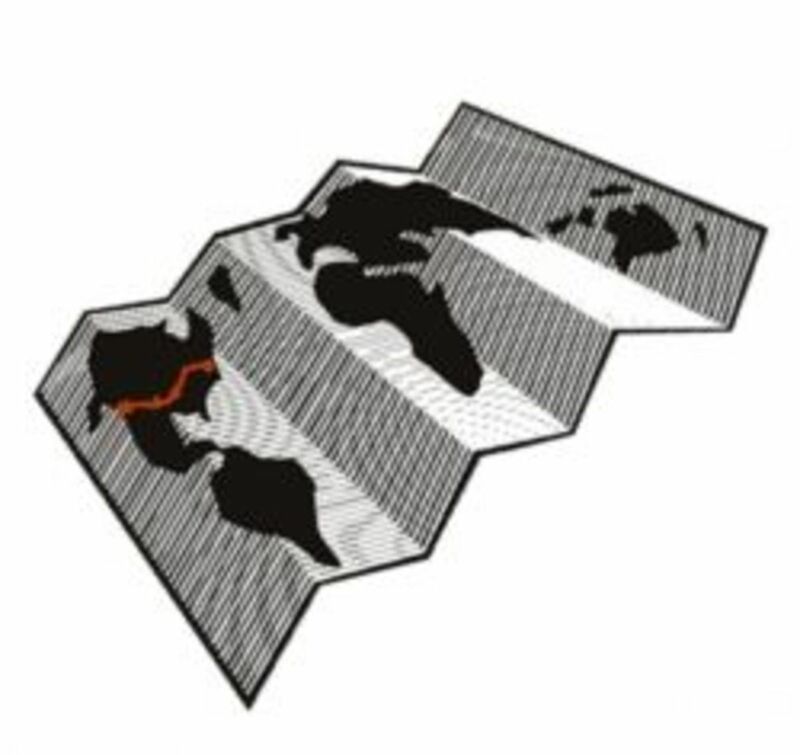 Rand McNally always makes a dependable map. This large map will have detailed full-size maps with a lot of depth. Spiral bound atlases are a great choice for convenience. They also last longer than the non-spiral. You can flip through them easily, and they store away nicer and won't get bent as easily. Another spiral bound atlas, this one also is convenient and just the right size for your navigator to look at while you're driving. The United States has some of the best scenic wonders in the world! 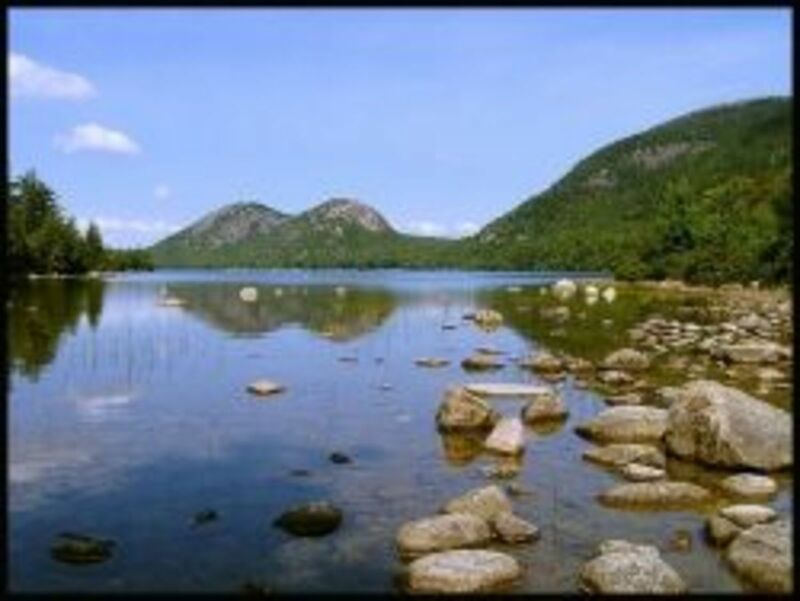 There aren't many large National Parks on the northeastern seaboard, with Acadia National Park being one of the few on the entire east coast. Acadia is located on the beautiful peninsula of Mount Desert Island, which is also home to the adored coastal community of Bar Harbor. This is quite the drive from most locations in New England, but well worth the extra road hours. A drive up Cadillac Mountain is a must, and from what people say, the sunrises here are incredible. There aren't many other places in the country where you'll find so many things to do in such a close proximity. The Green Mountains of Vermont are right next door to the incredible peak of Mt. Washington in New Hampshire, which directly abuts the deep, unspoiled forests of Maine. These forests lead directly to the craggy and memorable coastline of Maine, dotted with lighthouses and rocky edges. In the middle of the coast, you'll find Acadia National Park, one of the most spectacular sites on the east coast, and home of the first sunrise of the whole East Coast atop Cadillac Mountain. Head a little south to Massachusetts and you'll find endless beaches right from the North Shore down to Cape Cod. Boston is smack dab in the middle, and has some of the best restaurants, bars, sports and sights of the whole state. Rhode Island also offers a unique experience in Newport and its famous CliffWalk of antique mansions. 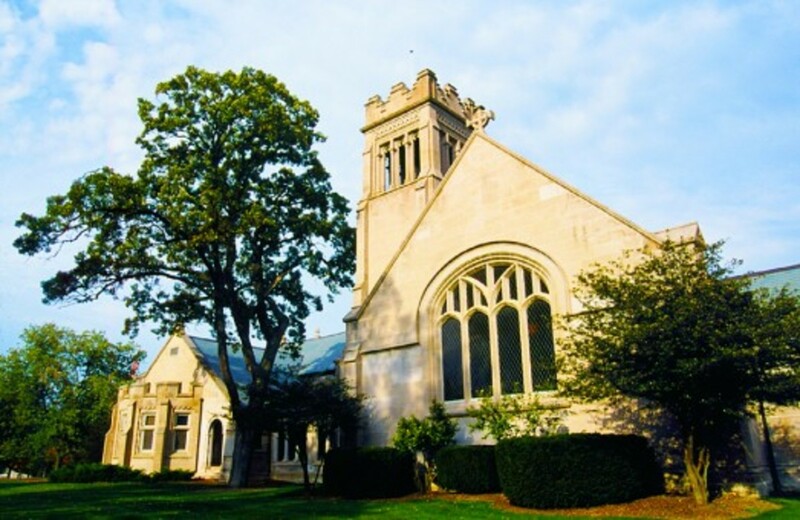 Connecticut has incredible small, historical towns and beaches to choose from like Mystic, New London, and Old Lyme. New York City by far surpasses any other city in the United States in population, with more than double the population of runner-up Los Angles! New York, as a state and city, is possibly the most famous area of the world. The city itself sometimes eclipses the finer points of the state as whole that shouldn't be missed. Just to the North, you'll find the famed Hudson River Valley. Never heard of it? Check out some of the renditions of the Catskills by artists of the Hudson River School. Don't count out Long Island, either. The beaches there are just as nice as some of the Cape Cod beaches. 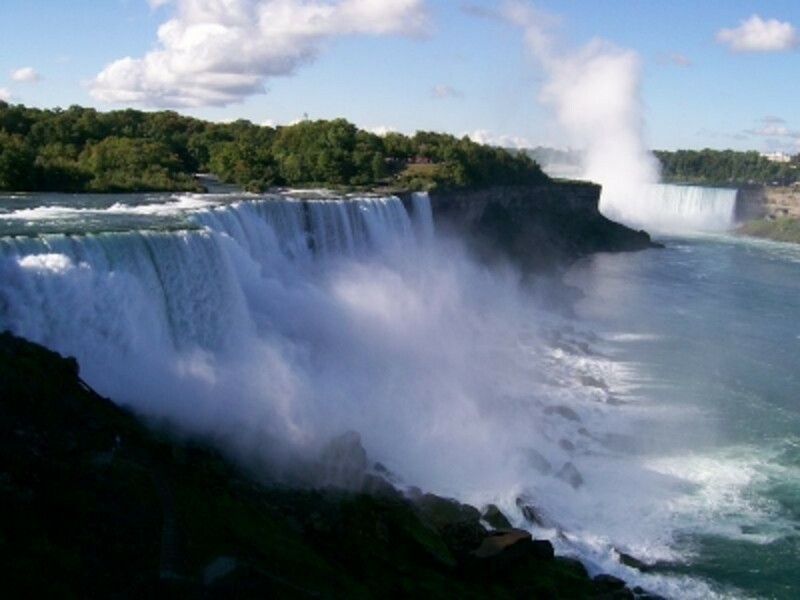 Niagara Falls is a huge tourist attraction for both Canada and the USA. 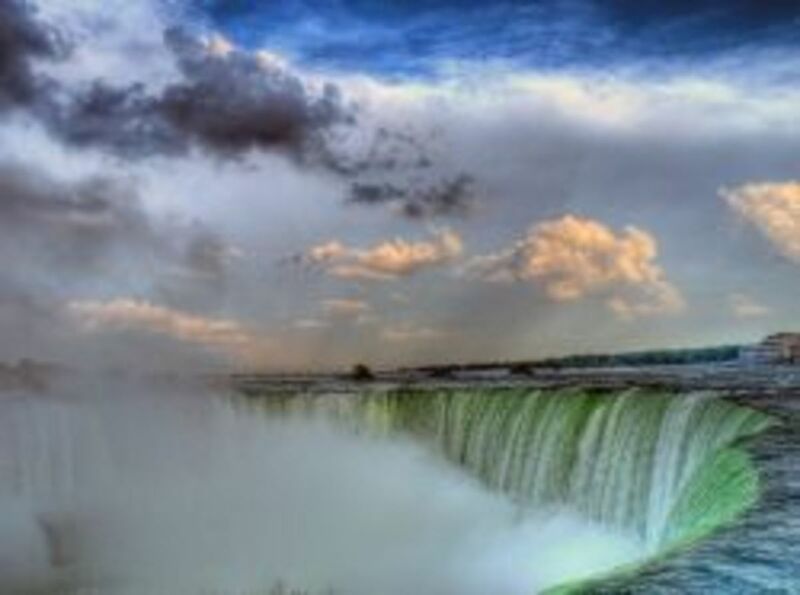 It's a multi-country wonder that you can view from both sides of the falls. 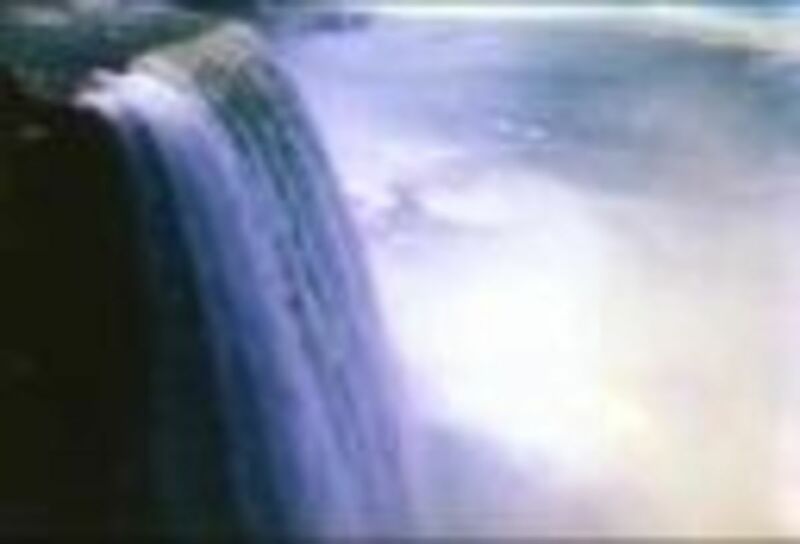 While the surrounding area might not be a natural wonder, the falls themselves are a spectacular site. If you're a casual driver that doesn't like congestion, beeping horns, aggressive drivers, hard to find parking spaces, and long waits to go just a few blocks, then don't visit New York City. If you're a brave soul who likes adventure and happens to be able to drive well, then maybe you can swing driving in the Big Apple. Be warned, the taxicab drivers here are insane, and are among the most aggressive drivers in the world. If you'd rather take a more relaxing approach to seeing the city, park outside of NYC where there's commuter trains provided by Amtrak or others. From Connecticut, you can park in the much less busy city of Bridgeport or Greenwich. From New Jersey, park in Jersey City and take the ferry over to Battery Park, or get a cab through the Lincoln Tunnel. All that, and we didn't speak about the destinations, restaurants, neighborhoods, bridges, buildings, theaters, parks, and unforgettably cool things to do in New York City, did we? Eyewitness Guides by DK Travel are some of the best-rated and most importantly, probably the most helpful guides for vacations. This guide gives a complete analysis of the the Big Apple's culture, museums, what to see, what to do, what bars to visit, when to drive, when not to, and what's in the area. This is worth noting: the shape of this book is perfect for travel. It's not too big, and not too small. It's a well-respected, frequently used guide for quickly getting around this massive city. The street-by-street 3-D maps give excellent visual cues that will make your vacation much simpler and fun. The restaurant and bars sections is invaluable; prices, atmosphere, web addresses, and even a listing of accepted credit card are all included. The Great Lakes water system is enormous, spanning the states of Wisconsin, Michigan, Illinois, Indiana, Ohio, New York, Minnesota and Pennsylvania. It's so large, in fact, that it's often referred to as the third coast and contains 22% of the world's fresh water! The Great Lakes area has its own weather pattern known as the "lake effect," keeping the air cool in the summer and dropping large amounts of snow during the winter months. From New Jersey to Virginia, there are incredible bird watching locations, panoramas, tucked away coasts, and unique getaways. For a cool side trip, try Cape May, on the point of New Jersey, or visit the great capital of the country in Washington DC. Washington DC is the perfect place to stop midway on your east coast road trip. Not only is budget friendly because all of the monuments are free, but the city has one of the best walking experiences you'll have in the entire country. Yes, this is a page about road trips, but what's a good trip without getting out, stretching your legs, and actually seeing close up what the world has to offer? 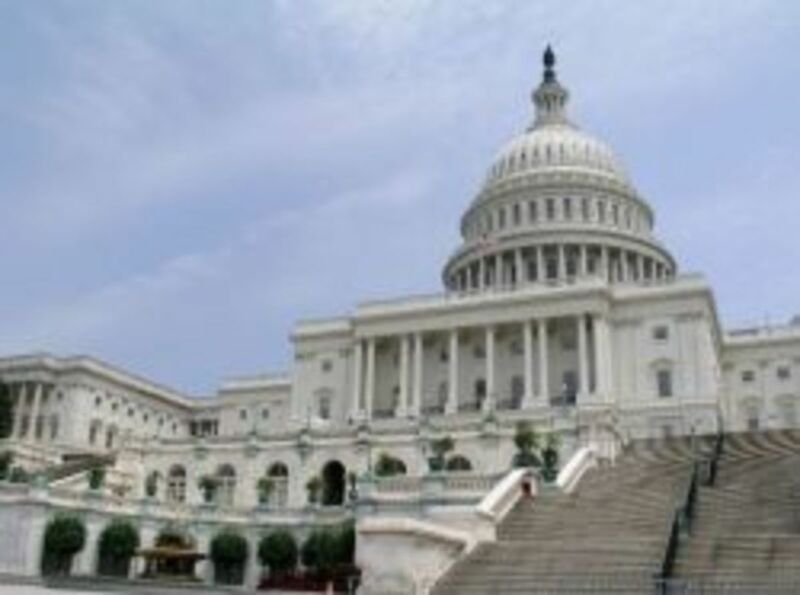 That's why I'd recommend you visit this page about the best places to see in Washington DC if you'd like to see what the U.S. capitol has to offer. If you've visited some of these Southern Cities, you'll know why so many people vacation here during the winter months then decide to move here year-round! North Carolina, South Carolina and Georgia comprise the Southern coastal states of the United States (though Florida is technically southern as well, it deserves its own space here on this lens). The Outer Banks of North Carolina are an incredible trip. 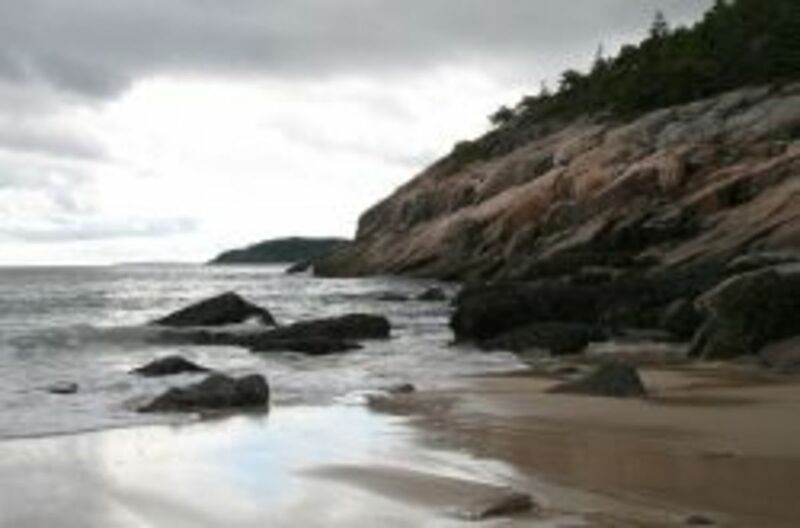 The beaches are unparalleled throughout the country, sweeping for endless miles along the exposed Atlantic waters. As you head South towards South Carolina, you'll notice the scenery start change as palmettos appear, indicating warmer climate year round. 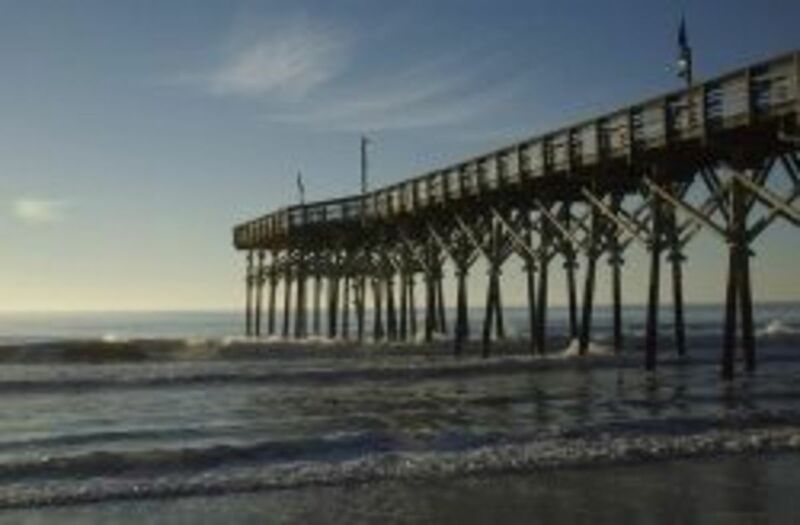 Myrtle Beach is a popular, fun place to visit, but slightly off the beaten path of the main Interstate 95. Plan on adding some hours to your trip for this. Charleston is well worth the approximate 2 hour drive from the main road to visit. Full of history, old architecture, Civil war era forts, authentic Southern style cuisine and cobblestone streets, you'll have plenty to do here. Not far is Savannah, where you'll find a similar historic atmosphere. I knew absolutely nothing about North Carolina prior to planning our second cross country road trip. I didn't know what to expect, but had been to South Carolina before. Okay, to be honest, I was expecting the coastline to be a watered down version of South Carolina, but I was way wrong. The beaches here exceed the ones in South Carolina by far. The ferry ride across to Ocracroke Island was fun, and the drive up the Outer Banks is one I fondly look back on and wish I could do all over again. 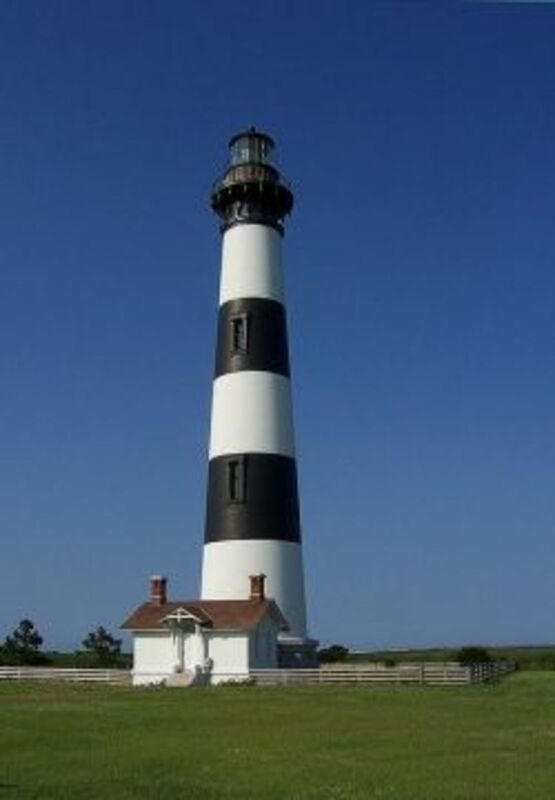 Before I drove up the Outer Banks, I mapped out some of the lighthouses that I wanted to see. These are all right on the coast, and you'd have to be completely oblivious to not find them. They are massive, and have been painted, photographed, and blogged countless times. Bodie Island Lighthouse and Cape Hatteras Lighthouse were the two that come to mind as being worth the trip (if you want to call driving five minutes out of your way an inconvenience). Further north, the dunes and beaches here were pristine, clean, and inviting. The ghost crabs were something to see in person, and we even went crabbing one night with little to no success. Florida is one of those states that I had to write an entire post about, so click here if you'd like to hear about my Florida road trip. The highlights for me were driving through Miami, Naples, and best of all, the Florida Keys and the Overseas Highway. The views from the bridges on Route 1 are so astounding, I can guarantee it will be the highlight of your road trip through Florida. Another excellent guide by DK Travel. There's so much to do in Florida besides Orlando, don't get fooled by the hype. While an extensive section on Orlando is included, you'll get a wonderful taste of what you can find in the Florida Keys, Naples, the Tampa Bay area, Miami, the Everglades, Cape Canaveral, and the panhandle. The impressive photos of the Sunshine State just might win you over in this guide. If you weren't planning on visiting Florida before reading this book, you certainly will afterwards! Even if you live in Florida, this guide will unearth the hidden treasures you can find on both coasts, like pristine beaches, unique cuisine, amazing accomodations, and spectacular views of wildlife, architecture, and history. ...that Interstate I-90 is the longest highway in the United States? It begins in Boston near Logan International Airport and ends near Qwest Field in Seattle, Washington! The entire highway is nearly 3100 miles and stretches across 13 Northern states. 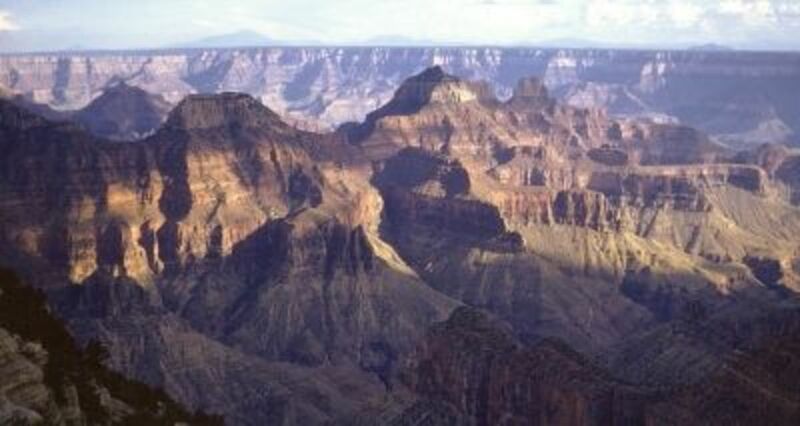 If you like the Grand Canyon, you'll like most of the National Parks in the Grand Circle. Some of these parks include Arches, Canyonlands, Zion, Bryce, and the Grand Canyon of the Gunnison, just to name a few. This circle encompasses parts of Arizona, Utah, Nevada, Colorado and New Mexico. The general theme of these parks remain the same: natural wonders that have occurred to the earth over a long period of time by erosion. All are incredible and not to be missed. When we first drove through Texas,we thought, how bad can this be? It's just one state. The trip across the state was a little stale on I-10, so if you can, try to seek out some fun things to do on this route. The big cities along the route are Houston, San Antonio, and El Paso. I found San Antonio to be my favorite, and we didn't spend any time at all in El Paso or Houston. The traffic coming out of Houston was backed up for hours, so be sure to time your drive through that city at night or very early morning if possible. If we had time, we would have liked to have seen Big Bend National Park, but unfortunately it's 4-5 hours south of the highway. Guadalupe Mountains National Park is also in between this region and the Carlsbad region, so if you have time, that's supposed to be a beautiful scenic drive. Texas natives, please report your best places to see in Texas so we can expand upon this area of this page! Make a recommendation in the comments. Yellowstone is one of my favorite spots in the United States to travel to. Why? It's unlike anywhere else in the world. 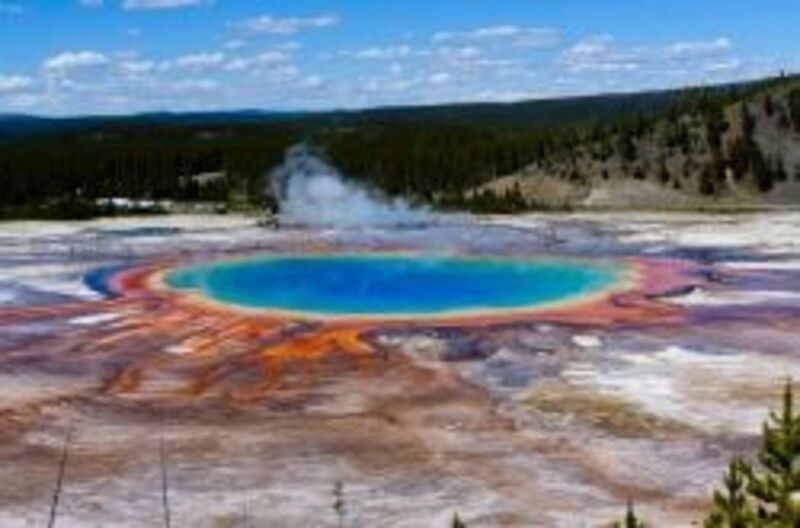 The unique combination of bubbling geothermal geysers, roaming wildlife like the bison, sublime scenery like the Grand Canyon of the Yellowstone, and the beautiful surrounding communites like Jackson Hole make it an unforgettable travel destination. This state really struck me by surprise as actually being interesting. After driving through the monotony of Ohio, Wisconsin, Minnesota, Iowa, and Nebraska, the Great Plains scenery of South Dakota was a welcome change of pace. We drove through on a particularly dusty, ominous day that looked like it was about to brew up some tornadoes over the Badlands National Park region. That threat made our stay a short one, but the drive through the park was a lot of fun. It was also the beginning of a shift of upwards altitude, slowly ascending the further west we drove towards Wyoming. This is where the drive west really got interesting. 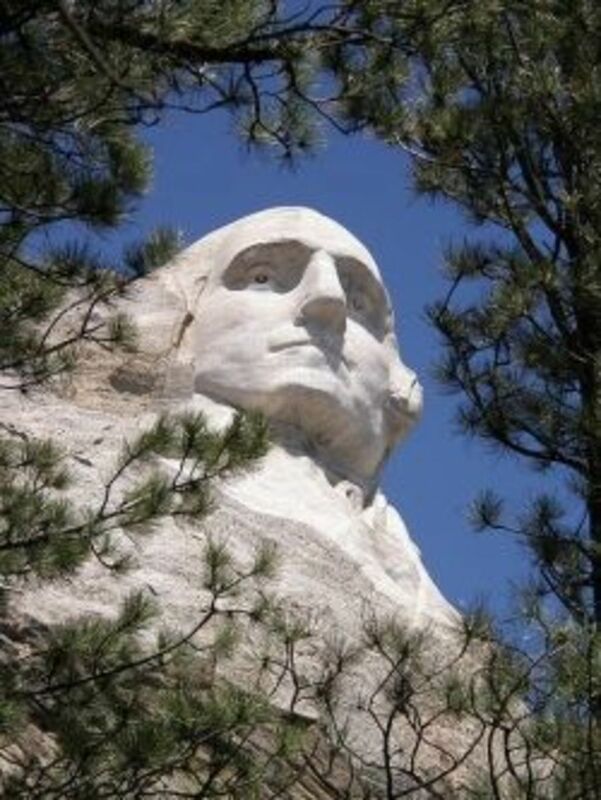 The state was capped off by a visit to the Black Hills region and the Mount Rushmore National Monument before crossing the border into Wyoming. 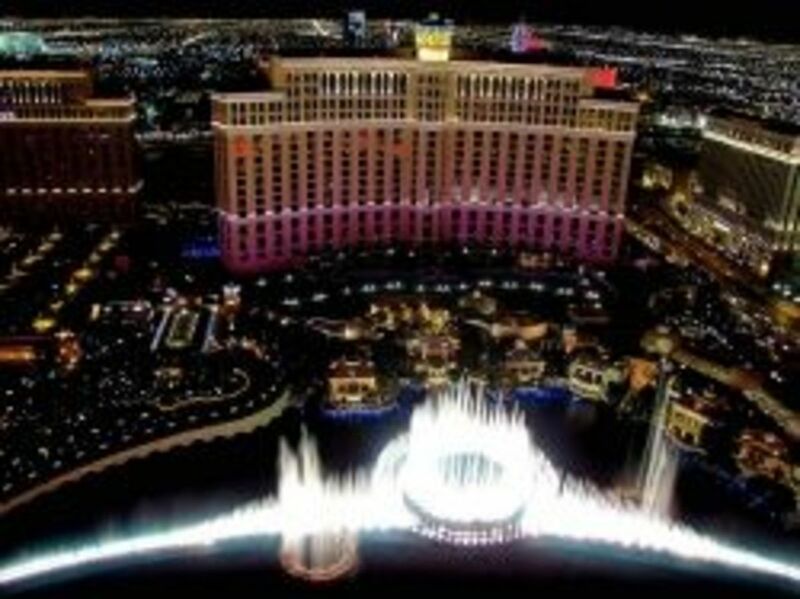 Las Vegas may not be the biggest city in the country, but it is the most visited! More tourists head to Las Vegas than any other city in the country, It's no wonder why...it's the adult playground, Disneyland for adults. It has something for everyone...gambling, amusements, fine dining, events, relaxation, spa treatment, accessability, luxury, warm, dry weather and near year-round sunshine. TIP: If you despise hot weather, avoid Vegas between May-early September. Temperatures regularly shoot above 100 nearly daily during the summer. It is in the middle of the desert you know! That goes for Palm Springs, too. Seattle is the largest city in the Northwest corner of the United States. Known for its large number of high quality coffee shops (Starbucks anyone? ), the strange and unique Space Needle, Mediterranean-like climate, and stunning Mt. Rainier backdrop, this city has something for everyone. This is a quiet state that is nothing but relaxing, even in the city of Portland. The vibe is laid back, and the scenery here is severely underrated. 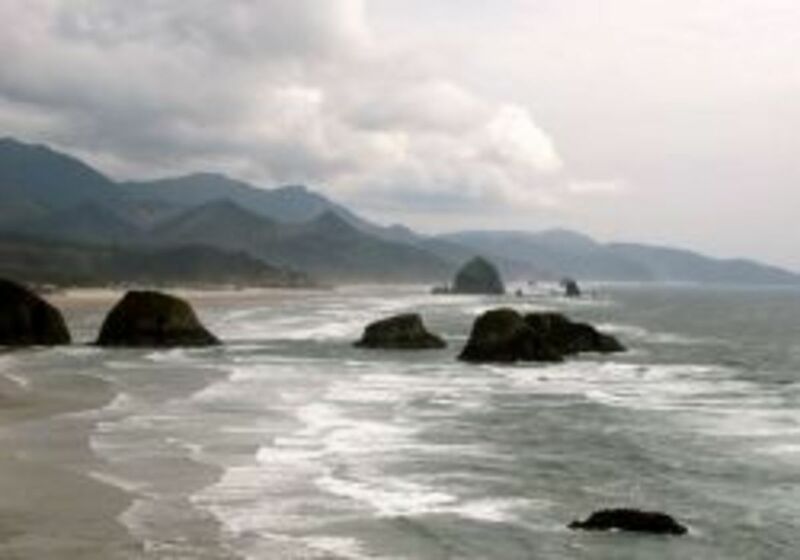 While California's coast may get all of the credit as being the place to see on the west coast, the coastal rocky outcroppings, the jagged cliffs, and the rugged beaches of Oregon's coast left an impression that was much more personal than the coast of California. The beaches here are not mobbed, and you could easily have a massive swatch of coastline for miles all to yourself. 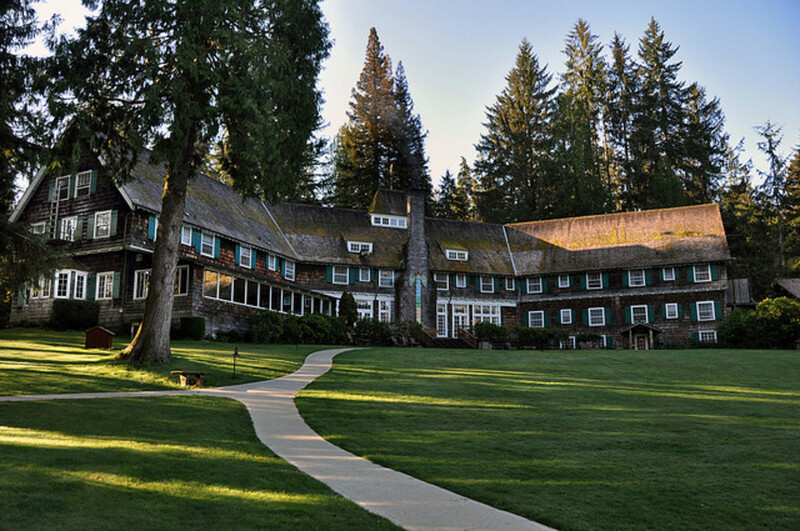 If you're looking for a very comparable alternative to the much busier Big Sur to the south, Oregon is a safe bet. 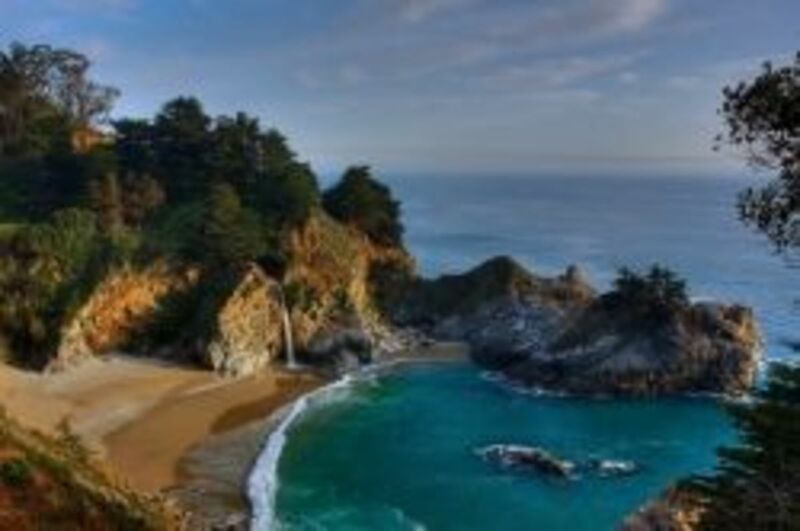 Big Sur is the coastline of California just north of Santa Barbara running north all the way to Monterey, CA. Beginning near Hearst Castle, this beautiful winding scenic ride along the Pacific Coast Highway will take a full tank of gas, but is well worth the trip. If you're visiting California, this should be one of your top destinations. Stunning vistas, rocky slides, waterfalls pouring straight into the ocean, fog covered lighthouses, abundant marine life, and mountains plummeting directly into the Pacific are what you can expect to see. Home of the Golden Gate Bridge, the famed Bay area, Fisherman's Wharf, and Alcatraz, you'll never run out of things to do in this city. Nearby, you can visit Napa, the Redwoods, Point Reyes, Big Sur, Monterey, and the 17-mile Scenic Drive, just to name a few attractions. 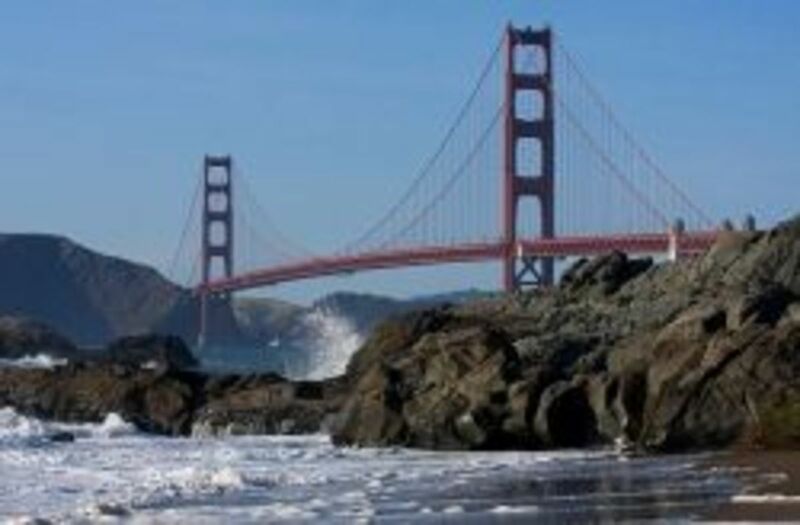 Find your Way Around San Francisco - San Francisco is a huge city, you need a travel companion! San Francisco is a huge city, and it's easy to miss the hidden gems and caught up in the major tourist traps. Guides by DK Eyewitness Travel are excellent companions for your roadtrips or vacations. They highlight the best of each city, as well as what to bring, wear, expect and avoid. Broken down area by area, this guide includes countless photographs and 3-D maps that are easy to navigate and understand. Restaurants, architecture, museums, shopping, and festivals are all thoroughly explained so you'll get a good feel of what you'd like to do when you head into the city. Plus, it includes a "beyond San Francisco" section, so you can take some side-trips to favorites like Napa, Mendocino, and the Point Reyes. Highly recommended book. Road Trip Planning Checklist - What to do before you leave! There's no point in going through all the planning if you can't get the time off. If you're dying to go on a road trip, make sure you make time for it at some point! Some people decide to go as their honeymoon trip, some plan it out to fall in between leaving one job and starting another. Some are just free spirits and don't worry about this stuff! Decide what you want to see. Start reading up on what excites you in the USA. How much time do you have? How much time off can you possibly take? How much money can you spend? These are all questions you need to think about before even starting to plan your actual trip. You probably can't spend as much time as you'd like to everywhere. After you've come up with a list of destinations, number them up and down, favorite to least favorite. Spend the most time at the places you want to see the most. Then, look around on a map and see what's in the proximity of these destinations. Who knows, maybe there's a great National Park right nearby, or a cool museum in the next town? Look at a map and draw it out! Keeping in mind your tolerance level of drive times, plan out your trip on paper. Use a mileage calculator to help see how far away your next destination is. Find hotels that you know you would be comfortable in--financially and physically. Shopping on comparison websites can help you save money on a road trip as well. This is often a good place to book a rental car if you're using that option. Pre pay your bills before you leave. Plan way ahead, anticipate every bill, and pay long before you leave. If your trip is long enough, you may hit several billing cycles when you are on your trip. You can either pay from your laptop while you are away, or have checks ready to go and mail out while you are on your trip. Make sure you have plenty of room on your credit cards if you choose to use them. A few backups is always a good idea. Credit card companies may think the activity of your road trip is suspicious and shut off your card! A quick call to customer service should fix this. If you're using cash, set a pre-determined amount you are going to bring, and make sure you have access to additional money during your trip if you need it. Have someone check on your home. Having a trusted friend or relative regularly check on your home is an excellent idea. Small things like picking up the mail in the overstuffed mailbox and big things like a leaky pipe flooding your kitchen are some of the reasons why this is a good idea. Use light timers while you are away to maintain the illusion of someone being home. Do a test pack in your vehicle and find out if everything fits! This lens received Lens of the Day on May 12, 2008! Thanks Squidoo! Also, be sure to make suggestions here on other road trip tips, routes and destinations not covered on this page. Thanks! If you don't have the right camera, you're not going to have good images from your trip. Here are some excellent rated cameras (all over 4.5 stars on Amazon) that have been very popular, from the simple and easy to use to the more camera-savvy photographer. Driving defensively should be your #1 priority while on the road. Not only is it a huge inconvenience to get into a collision on the road, but it can be dangerous and costly! There are some excellent and important tips at Defensive Driving America. Intro photo of Monument Valley roadway by paraflyer on Flickr. If you'd like to save on your next rental, use this link to get a free upgrade through Enterprise. Nationally, Enterprise seems to have the biggest selection of cars to choose from (and they're often brand new!). I get a small commission if you use my link. Traveling with your pets can be fun and rewarding. There are some things you should do in preparation for a comfortable and happy trip for everyone! PetTravel.com features a list of pet-friendly hotels internationally and important guidelines on pet immigration and quarantine. What to do when you want to take your dog on a road trip. There are some precautions to take with your pets, be sure to follow them for a safe pet vacation! When taking your cat on the road, follow these important tips! You and your cat will enjoy the trip a lot more. Confused by all the signs? There are so many different signs on the road that vary per state you might get a little overwhelmed. You can see all of the different road signs for each state, some counties and even old signs at Routemarkers.com. When I'm making reservations, I always check Priceline to see if I can save up to 50% on hotels. Sometimes they have great deals on packages trips, sometimes just a night here and there. It's always worth looking just to save some substantial money. Is It Time For a Road Trip? Sign the Travel Log Below! - Tell us about your recent road trips! @anonymous: On I-10 west of San Antonio, it was difficult to find a good place to stay. Wish there were at least one. We didn't make it to NM that night, but wish we could have to stay where you did. @anonymous: Thanks for sharing all of this. I haven't spent much time in Texas, so it's good to hear it from an insider. Things to do and see in Texas...not enough room in the comment section!! Austin and the hill country, especially in spring, hike enchanted rock, see carpets of bluebonnets and indian paintbrushes, antique at Marlborough Farm or Fredricksburg. Not far from there you can see a massive Mammoth colony in Waco. Grapevine, north Texas, is very fun as well, stomp grapes at grapefest in the fall. I could go on all day, Texas is great to visit but if you're coming in the summer you might want to try South Padre Island. Congratulations for being featured in the Squidoo HQ Blog. i wish i had seen this post when planning my first trip to us! Wow, what an absolutely thorough, useful and fun lens!! I love to travel (have written a few travel lenses myself), and I am a Montanan so I can truly appreciate a great road trip, it can be the best type of vacation. I am leaving in East Coast (NJ) so I can say that you choose very well your objectives to visit. Great lens Blessings! Noticed here that was said there were no nice places to stay in west Texas. I drove from Tampa to Las Vegas in 2003 and found avery nice motel about 100 miles east of N.M. It was I think a motel 6 or 8. The price was under 70.00 and I was surprised how nice it was! There was an atrium with a pool,hot tub ,sauna and the flora was beautiful ! I got stuck (truck trouble)what a nice place.On my way back soon &amp; def gonna look for it. @WriterJanis2: Thanks for the blessing! @Lady Lorelei: Wyoming was a great state. We were surprised at how much there was to see, because you rarely hear people say much about Wyoming. The northwestern corner, Grand Teton, Yellowstone, and Jackson Hole, are amazing. I would highly recommend that area, and if you were to visit just ONE National Park in the USA, I'd say visit Yellowstone. There's so much to see, and the wildlife is inescapable. You'll be impressed. I was blown away in New Mexico. First thought the native Americans were Mexicans with long hair. I made friends with a few of them. Presidents names were very popular. Wow! I'm ready for a road trip. Great info here. Blessed! 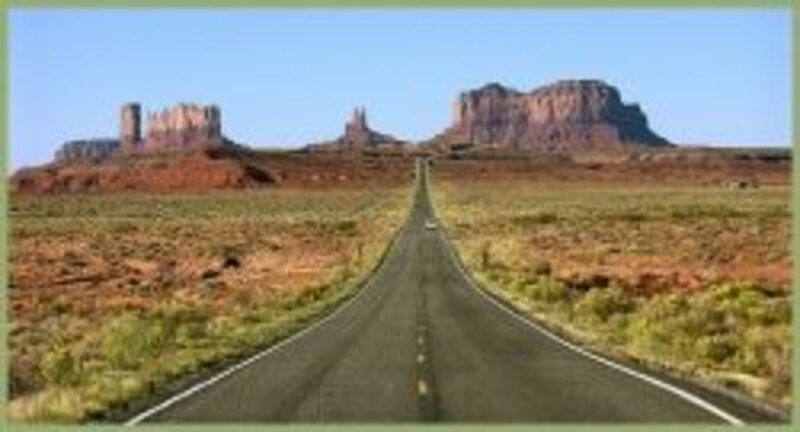 My husband has said that he is going to retire in October so next year he and I should be doing a few US road trips. We took a long car trip vacation through Montana and Utah to get to Las Vegas Nevada and it was great. The hospitality in Utah was amazing and made our US trip so much fun. We definitely plan to go back there again but my husband is busy delving through his maps each evening to choose our next big vacation and I think he has his heart set on exploring Wyoming next. It sure is a great big beautiful world we live in. Great travel tips. Road trips are fun in the summer time! That's why I've nominated your lens to today's SquidQuest on "Fun in the Summertime." Well done! What a great lens - being from Montana, I LOVE road trips!! And you have captured so much about the beauty of a great roadtrip and how to make it wonderful... I loved reading your lens, you didn't leave anything out - however I would suggest adding the Beartooth Highway in Montana (called the most beautiful drive in America by Charles Kuralt). It is like you say, you have to see it to believe it! I recently wrote a lens including this amazing drive that you might be interested in reading about Montana and its travel attractions. So many places to go and so little time, so your planning ideas are a must. SquidAngel blessings. Great lens! I'm from Boston and I definitely think that Boston is the best city ever! Just drove from Orlando to Atlanta to see the aquarium. Totally worth it! OK, it is official. I am now going to visit this lens before every single road trip I ever take. More information on Oregon, Idaho and Wyoming would be nice. I'm about to embark on a road trip/train trip from Florida to California! Can't wait to get started! I once drove from Florida all the way to Boston. Then I drove from Florida through Texas, all the way to northern California -- with a CAT in the car! :) Road trips are fun! The more planning you do for a road trip the more enjoyable the outcome is likely to be. This lens is a great start for planning a great road trip. This is a great lens. I love road trips, and this got me all nostalgic reading it. You see some pretty interesting stuff on the road. Great lens! I can't wait to do this in a few years when I semi-retire. Brings back wonderful memories or our performance tours in the USA where we rented a camper and went east to west, south to north and indeed staying in the parks was stunning. Rightfully a Lens Of The Day. I just finished a great road trip book by Paulina Simons. It made me want to hit the road! Great lens. I hope to hit all these locations within the next few years. Thanks for posting. Wow. I can't wait for summer for vacations to start! WOW! This lens covers just about everything. Outstanding work. A wonderful travel lens and so many great tips. I plan to retire soon and will be putting these tips to good use. I have traveled a lot in my younger years and can not pick a favorite state as I find something to like no matter where I go. What a detailed lens! I've taken a road trip up the West Coast from Southern California all the way up to Vancouver B.C. I stayed locally in hostels as much as I could and visited plenty of natural history sites like the mountains and hills in Washington state. San Francisco and Portland had their own local culture and beauty to offer too. Wow, feel like I've been across your country and never left my chair - great job on this lens! Excellent suggestions for traveling! Although I would like to suggest that the type of climate that we have here in Seattle is referred to as a "Marine" cliimate, much like the coastal areas of England. We do not have a "Mediterranean" climate, as that would imply much warmer temperatures throughout the year. Thanks for all the great information! thing I like about this lens is it gets into your mind that driving and road tripping is fun! 'thumbs up' for your creative topic. Wow! So much information here. I could apply some of it to a driving holiday here in Australia. Nice lens. I'd like more information on taking a road trip traveling with a camper or in an RV. I don't want to stay in hotels or motels. But I am all for road trips, especially weekend getaways or even day trips. Detailed and fun article! Makes me long for the carefree open road. Great lens! I grew up taking roadtrips every summer, and as I write this, I'm currently 30 miles from Yosemite. Thanks for encouraging us to visit the U.S. There's so much to see, we'd better hurry! Wow! You forgot Idaho!! We are a fabulous vacation state. Especially if you love mountains and whitewater rafting. I'm in central Idaho along the Salmon River. Great and inspiring lens! Thanks for sharing! We were just in Seattle, and although we flew there, it is an awesome city to visit. Lots of great restaurants and things to do. Lots of great advice about how to plan a US road trip here. well done. I will feature this lens on my Fun, Cheap Vacation - House Trade lens. WOW what a fantastic lens. My husband and I are relocating to AZ from NJ. We will be taking a serious roadtrip, we're planning on a 4 to 5 week journey on our "trike". We're really looking forward to it. Thanks for the wonderful tips. This is a great lens! Very informative. Thanks for sharing! Thanks so much for a lens that brings out some really wonderful places one can visit, not necessarily the most most common destinations, but definitely beautiful fun places. When I do take a road trip, I will be sure to take the information in your lens in consideration before mapping out my trip. Lots of good trip tips and trip suggested sites. Good job on it. Very nice lens! There is an amazing amount of information here. Enjoyed it very much. wicked lens.. I can learn lots here about the usa, haven't traveled there yet (a few spots) have to still get my passport. I've blog rolled your lens with my niagara ontario canada lenses..
You did a beautiful job with this lens - my son and I are venturing out on a 3 week road trip this summer - can't wait! Amazing lens. I'm a big fan of road trips, took a mapless/directionless/GPSless trip in college as my Senior Project. Gotta way the best tips I learned was. Always have cash, always have a tent+sleeping bag, and be sure to have a well stocked cooler. such a nice lens! Now I wish to go to US ASAP! Wow!! Awesome lens...tons of great info here. I'm bookmarking it so I can come back when I get closer to planning my cross country expedition. Definitely a great reference! What a great lens! I've traveled up and down the east coast over the years and I voted "Maine" on the poll because I loved a trip we took to Lubec, Maine and stayed near the West Quoddy Lighthouse. Thanks for all the tips! What an amazing lens Kiwi, very nicely done. You don't have my favorite national park listed, Voyageurs National Park. ~ Would love to take a road trip in and RV and see many parts of this great country, that red convertible would be nice too. that was the only reason i voted California, it is a beautiful state, but still. I did my road trip 10 years ago, we didn't have navigation or anything, just AAA. You shouldn't book anything ahead, find a nice motel on the way, and enjoy your time. On the big cities, save money by booking online, even on the same day. Thank you so much for all of the information. I've always wanted to go on a cross country road trip! (I suppose I'll need a car first...) I'm keeping this reference handy. What an amazing lens you have put together. Cheers! I"d love to do this someday. Thanks for the info. I am not a fan of driving, but you tempt me. Beautiful lens. Great info here. I've seen the whole eastern seaboard. Time to head inland. Thanks for the tips! This is a very good resource for anyone planning a big road trip. I took a 9,000 mile trip around 2/3 of the country in 1998 and in 2000 drove from Massachusetts to Oregon twice - once in my car, once in a UHaul truck with my stuff. I had a DeLorme GPS and laptop during the '98 trip, and several of DeLorme's atlases. I've lensrolled this to my DeLorme Atlas &amp; Gazetteer Series lens. Good lens! Good to know about the hotel keycard question as well. Awesome lens! Interesting &amp; with great info, pics and videos, loved reading it. Blessed by a SquidAngel. Very useful information you have here. I be using you tips when I go to Florida next month. Great lens. Lots of useful info. Thanks. One of the Best Lenses I`ve seen so far. WoW! Thanks for all the helpful info. The only question now is where to go first! Again, wonderful information for helping me plan my road trip! Thank you thank you thank you! Lots of really great information here, great and well researched lens! Road trips are great...including for people with arthritis. You can control your moving, stretching, resting and diet better than with other forms of travel, resulting in more effective arthritis treatment, even while traveling. I think you must have covered just about everything anybody needs to know about taking a roadtrip. Excellent lens, blessed by an Angel. I am planning on taking a road trip this year to California. I will be coming back to this lens for help :) Great job!! Great lens! Lots of info. How do you find places to stay? Do you just find a hotel, or book ahead? Ever had to sleep in your car? What a fantastic lens! I've taken quite a few long road trips in the US and you''ve included some great tips! Thanks for all the important information on road trips! Driving from Miami to Vermont in a couple of days. Traveling the fifty states is something that I definitely want to do before I die! Thanks for all of these great traveling tips. Really like the lens! I've been doing a few for a travel agency and learning a lot about traveling. Five! Wow Im inspired to do a road trip, Ive flown over LA that was amazing enough. Great information here. Have not taken a road trip lately. Hoping to take many when I retire. The longest I did was moving from Kansas City to Tampa by way of Atlantic City, That was a very long detour. Stopped at the Air Force museum in Dayton, Ohio along the way. Discovered a lot of America on that great road trip. I've soooo gotta get on the road!! I'm itching!!! I'm excited to start planning. This gave me a lot of great information on how to get started. Would love to have the chance. Will have to stick to the UK for now. Fabulous lens. What a Great Lens!. This country is full of some many wonderful places to visit, there is no reason to head outside of the United States. One of my goals is to take a train trip across country. Seems like a very unique and under rated way to see the states. Great lens. I have always dreamed about doing a roadtrip across the country. This lens makes it seem so fun. This was very helpful in starting to plan my road trip. I'll be traveling from California to Florida, with a whole month to see this beautiful country. I've never done it and am so excited. I'll be fifty years old next year and this is my celebration!! !